Iona Grace Fyfe | The Goose Is Out! We are absolutely delighted to be welcoming to the Goose for the first time as part of our Scottish Night in 2019 traditional Aberdeenshire singer Iona Grace Fyfe. With a number of high profile appearances under her belt, Iona has performed extensively in the UK, Germany, Austria, Italy, Switzerland, France, Poland and Canada in 2018. Iona was a finalist in the BBC Radio Scotland Young Traditional Musician of the Year and won the Molloy Award at Birmingham Irish Trad Fest. In 2018, Iona performed at Interceltique Festival De Lorient where she was described as “a Scottish folksinger, magical and charismatic” (Rolling Stone, France). Her debut album Away From My Window was held to critical acclaim and received nationwide airplay on programmes such as BBC Radio 2 The Folk Show with Mark Radcliffe, BBC Radio Scotland’s Travelling Folk, Take The Floor and BBC Radio Nan Gaidheal. Away From My Window features a stellar folk line-up of Luc McNally, Tim Edey, Charlie Grey, Simon Gall, Ross Miller Graham Rorie, David Foley, and Charlie Stewart. Branching out, Iona’s new EP, titled Dark Turn of Mind features six ballads and songs found in both Appalachia and Aberdeenshire and has been described as “a new interpretation to the country genre” – Maverick. Well, the following article by Folk Radio UK is a bit long, but well worth reading – and we couldn’t have put it better ourselves! Jeanie Roberston, Jean Ritchie – two great tradition bearers from either side of the Atlantic. If ever there was confirmation of the impact their legacy has had on singers of traditional song, the evidence rings clear and true in a new release from one of our most gifted contemporary artists, Iona Fyfe. We’re well aware, here at Folk Radio UK, of the clarity and purity of Iona Fyfe’s impressive singing voice, and have been ever since her debut EP, The First Sangs and its 2016 follow-up East. Since then her reputation has grown and her audience expanded. In March 2018 Iona’s debut full-length album, Away From My Window saw her combine traditional and contemporary folk, and celebrate the fluidity of folk music, reaching further beyond the North East Scottish traditions that nurtured her talent from an early age. On January 1st, Iona took a significant step towards enhancing that reputation with the release of an enthralling six-track EP, Dark Turn of Mind; combining that North-East balladry with a selection of Appalachian cousins, and contemporary American folk. Dark Turn of Mind takes its title from the popular Gillian Welch song that opens the E.P. As Iona’s plaintive vocal joins a dark, solemn piano for a cloudy afternoon at the waterside, there are quiet jazz undertones in the soft guitar and rich vocal harmonies. Although there’s a contrasting glimmer of sunshine from mandolin, it is the warm, enveloping melancholy in the combination of piano and Iona’s vocal that’s so absorbing. At only 21, Aberdeenshire singer Iona Fyfe has already gained a reputation as one of our finest ballad singers. National recognition came early in her professional career when she was a BBC Radio 2 Young Folk Award semi-finalist in 2015. In 2017 she was a finalist in the BBC Radio Scotland Young Traditional Musician of the Year competition, and in the same year she was nominated for Scots Singer of the Year at the MG Alba Scots Trad Music Awards – and went on to win the 2018 award in December. Dark Turn of Mind suggests that as Iona’s talent for song that reaches beyond her native influences becomes more apparent and productive, an upgrade of her trophy cabinet may well be in order. Significantly, Dark Turn of Mind stays with the same, small group of musicians throughout. This nurtures an intimacy that binds the songs together. Rory Matheson (TRIP) provides the primary accompaniment on piano, Aidan Moodie (Siobhan Miller, Gnoss) brings a multitude of textures on guitar, and those rich vocal harmonies, while Graham Rorie (Gnoss) on mandolin, helps cement those Appalachian tones. Iona seems to have a talent for choosing contemporary song, and when she takes the quiet murmur of Gregory Alan Isakov‘s beautiful If I Go, I’m Goin’ on a journey through a more expansive, almost spiritual, arrangement, there are periods of soft intensity that reach deep and will compel you to return again and again. Moving on to the E.P.’s traditional offerings; Iona wrote her own melody for the Ozark Mountain song, Let Him Sink, taken from two versions in the Max Hunter Folk Song Collection. Her detailed sleeve notes are a testament to her fascination with song, and its sources, from a multitude of regions. Equally captivating, though, is the simple piano and vocal introduction that makes the listener feel part of an exclusive audience, as well as the skill and warmth in the piano/mandolin instrumental bridge. As for Iona’s vocal, there’s no sign that stepping away from her beloved Doric tradition has in any way affected her ability to deliver an honest, compelling, and technically perfect performance. As for those iconic tradition-bearers mentioned earlier – Jean Ritchie was the source for the lively, upbeat Swing and Turn. Iona was inspired to take on this song after seeing it performed by Boston singer/fiddler Laura Cortese at the Orkney Folk Festival, and her own arrangement seems to celebrate the host of links between Scottish and Appalachian traditions. The Golden Vanity has been a highlight of Iona’s live shows for some time. A widely covered and re-interpreted ballad of heroism and betrayal, The Golden Vanity appears in both UK and Appalachian traditions. Popular in the Aberdeenshire tradition, a version (The Merry Golden Tree) was also recorded in 1961 by Jean Ritchie in her first volume of British Traditional Ballads in the Southern Mountains. It’s refreshing to hear this story sung without a hint of salt-air, but rather with a quietly rousing fervour and regency. 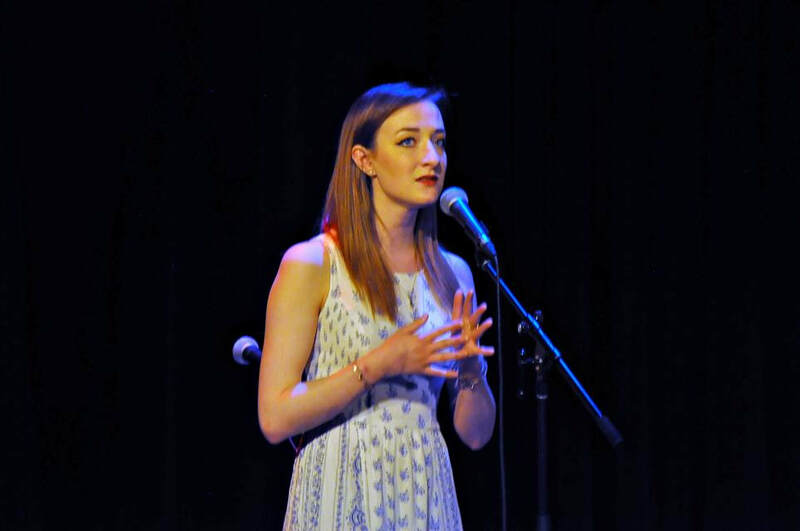 Proving that there really is endless variety and scope in the ballad tradition, Iona was inspired by both Jeannie Robertson and Cecil Sharp in her rendition of Little Musgrave. Closing the E.P. with an unaccompanied version of this much-loved ballad. Iona’s voice has more than a hint of the tradition that bore this tale. Although there’s no shortage of theatre, it’s also a memorable as a vocal performance in its own right – pace and pitch perfectly measured at every turn, despite variations in pace and intensity. It’s worth noting that all those, much-deserved, plaudits mentioned earlier celebrate Iona’s skill as a performer of traditional North-East song. Away From My Window, though, did more than hint at her ability to move beyond her early influences, into song that spans time and distance. Dark Turn of Mind takes her repertoire another step forward, to wider shores and a wider sphere of influence. There’s been no temptation to alter her voice, that’s still as authentically Scottish, and still as clear and expressive, as it ever was. Iona’s approach to song delights in the most charming flourishes, covers an impressive vocal range, and proves her as capable of delivering a burst of power as she is of bringing a tear to the eye. This release will delight existing fans, and bring her music to an even wider audience. If you thought you’d heard the best of Iona Fyfe, think again; there’s every indication that Dark Turn of Mind begins a new, captivating chapter.